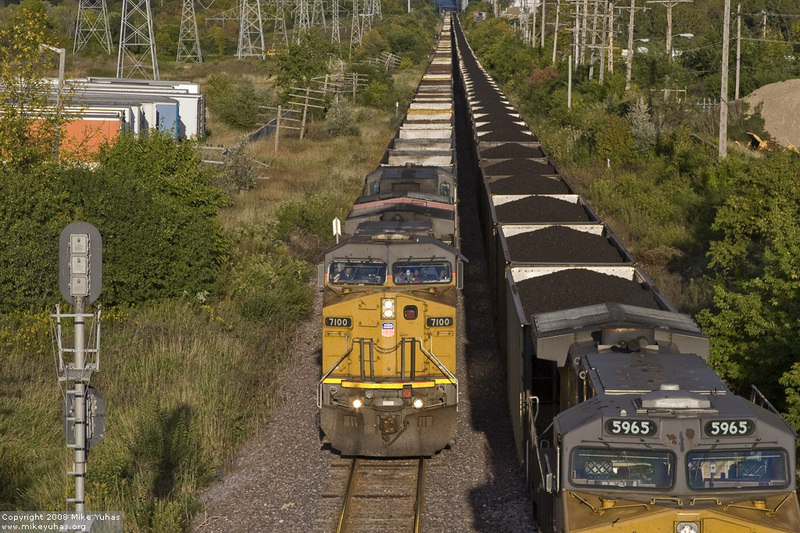 An LPA82 crew brings an empty hopper train south from Sheboygan. A loaded train sits on Fonda siding, seen here, and yet another Sheboygan load sits on a main track at Butler Yard. On account of a large, ahem, cluster of trains at Butler, this empty will pause here at BJ East for a bit to allow congestion to clear.